Not sure if you are ready to start, but still have some questions? Below are some frequently asked questions and answers to help you! Why should I register with ABC Nanny Source and not another Maryland Nanny Agency? That is a great question! With so many reasons it is difficult to know where to begin! ABC Nanny Source is a prestigious agency in Maryland that has earned the reputation for providing the most elite group of Nannies for our families to choose from. We are committed to initiating long-term matches for families and Nannies so you can be sure that you are finding a position that you can depend on. Many of our Nannies are able to obtain a position for an extended period of time. Our candidates also realize that they are able to earn an outstanding salary and benefit package in addition to finding truly excellent families that certainly appreciate their dedication to the position and all of their hard work. We highly value all of our experienced, qualified candidates and will do everything that we can to be sure that we are finding the best match between family and Nanny! Generally, you can begin to interview with families within one to three weeks after your electronic profile is complete. Your electronic profile will be submitted to families who are in search of a Nanny in your local area. 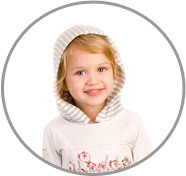 We place each and every one of our live out Nannies within a 30-minute radius of their homes. The families will review multiple profiles and narrow it down to the candidates that will be best suited to their specific circumstances. When a family requests to interview with you, an ABC Placement Counselor will reach out to you and inform you all about the position, including: what the typical hours and days of the week will be, when the family would like their Nanny to begin working, a complete job description, and the salary or hourly rate that is being offered. If the position seems like a good match for you and something that you would be interested in, then we will arrange a mutually convenient time for you to go to the family’s home for an interview. Your Placement Counselor will be sure to provide you with all of the information you will need to arrive at the interview on time and prepared including the name of the family, their address and phone number in case you get lost, directions, and the approximate travel time it should take you to get there. After your interview wtih the family, we ask that you call us at the agency and let us know how the interview went, if you believe the position is something that you would consider, and if you have any unanswered questions. When the family has finished interviewing candidates you will be notified as to whether the position has been filled or if the family has made you an official offer. You will most likely be interviewing with several different families, which will allow you the most exposure and the highest chance of securing a position as quickly as possible! What do I need to do to apply for a Maryland Nanny Job? The first step you would need to take is to complete the Nanny Application, and one of ABC's Scheduling Coordinators will be in contact with you to initiate the preliminary phone interview. The requirements that our agency enforces to be considered for a position will all be discussed with you at this time. We will ask you a number of detailed questions to determine the type of position you are seeking and if you have the credentials that ABC families are looking for. After the phone interview has been completed, the Scheduling Coordinator will arrange a time for your to come in for a face-to-face interview. When you meet with the Placement Counselors, you will be asked to complete forms that will allow the agency to perform criminal, motor vehicle, and background checks. Additionally, the agency will also make copies of your valid driver’s license, social security card, and CPR Certification (if applicable). Your picture and electronic fingerprints will also be taken and added to your electronic profile. It is another requirement of ABC Nanny Source that you submit to a 5 panel drug test through Quest Diagnostics within 72 hours of being accepted as an ABC Nanny. Once all of this information is completed and the agency has verified all of the necessary clearances, we will immediately initiate the search for the ideal Nanny position for you! ABC Nanny Source's database of Nannies contains a wide variety of childcare providers with an array of backgrounds and experiences to offer. Some of our Nannies are mothers themselves who have children that are grown or in school full time, so they can offer real life experience that they have obtained by raising their own children. Some of our Nannies prior to becoming an ABC Nanny, have been teachers, or have been professional Nannies serving in the industry for a number of years. No matter what kind of background our Nannies come from, they all must have prior childcare experience. We will need to be able to verify all childcare and personal references and educational credentials in order to consider the candidate for a position with ABC. If requested by the family, in the majority of cases, you will need to be available to drive. Some families ask their Nanny to drive their children back and forth from activities, doctor visits, and maybe even run some errands on a daily basis. On the other hand, other families may hardly need you to drive, depending on the age of the children and the parent’s preference. This issue will most definitely be discussed prior to employment. If the family would prefer you drive, it will also be discussed whether you will be provided a vehicle, or if you will be required to use your own personal vehicle. However, regardless of the family’s preference, it is a requirement that you have a valid driver’s license and an insured, reliable vehicle. What kind of Salary can I expect as a Maryland Nanny? There are a number of factors to be considered when finding what the correct salary for you is going to be. Each family is going to have unique requests, which will play a role in the salary that will be offered for the particular position. The job description, as well as your experience and credentials will all be taken into consideration. Also, while negotiating your salary, consideration will be made as to the domestic household duties, household upkeep, and hours you will be working. One of the wonderful things that come along with being an ABC Nanny is the fact that you will not need to do any negotiating with the family at all! The Placement Counselor that has been assigned to you will do all of the negotiating to find the best salary/hourly rate, as well as vacation benefits, sick time, and paid holidays. This makes it possible for you to avoid the awkward, uncomfortable conversation regarding benefits and salary. We will take care of everything and make your offer competitive and official! The majority of our part time Nannies will be earning an hourly rate of $13 to $18 per hour and our full time Nannies will typically earn a weekly salary between $500 and $800+ per week. Every individual circumstance is different, so this is only to be used as a guide. Salary may vary from each particular situation to the next. No. ABC Nanny Source is a Nanny Referral Agency, so even though we will be setting up all of the initial interviews and screenings, you will be a direct employee of the family that you are placed with. ABC Nanny Source does not dictate how taxes should be handled to any family. We do however, offer several options as to agencies that can help our families should they chose utilize an outside source for payroll purposes. Apply today to become a Maryland Nanny represented by ABC Nanny Source! We look forward to reviewing your application!